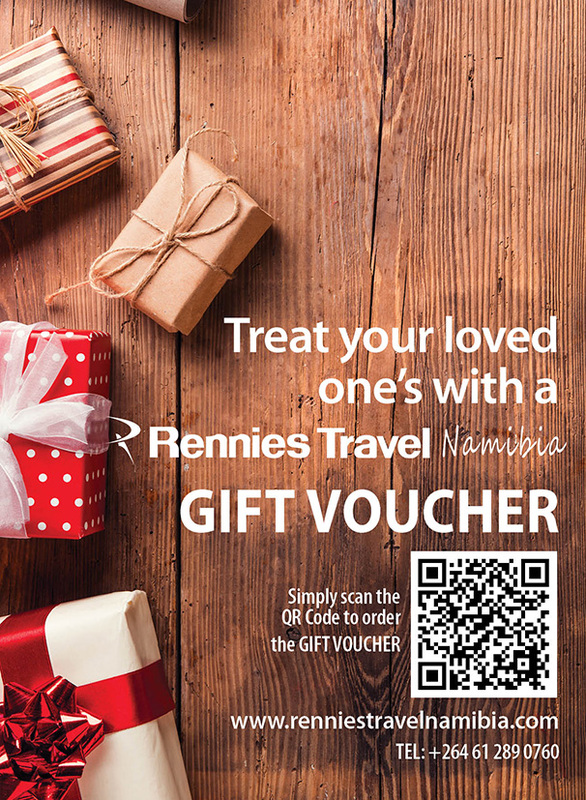 The Rennies Travel Namibia Gift voucher is the perfect gift for any travel occasions. It can be redeemed for flights, accommodation, car hire, activities or holiday package. Simply scan the QR code to order your travel gift voucher for your loved one's.